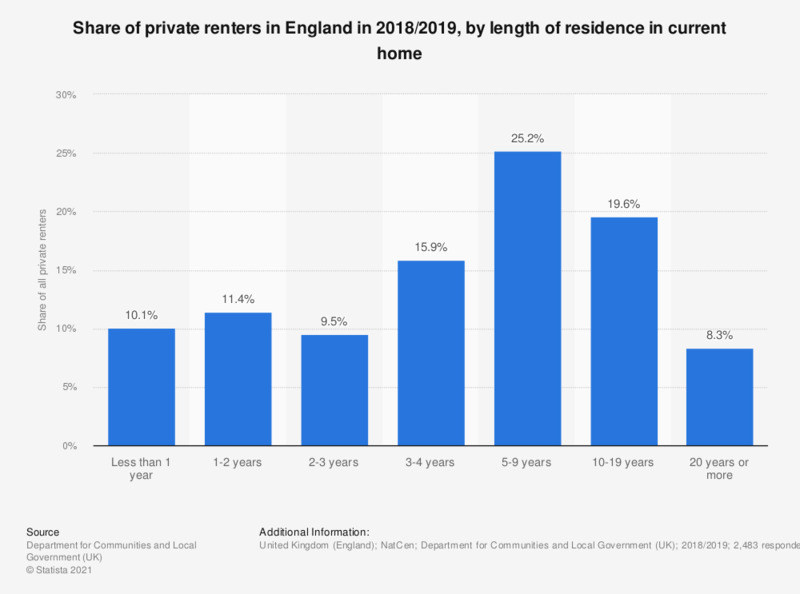 This statistic shows the distribution of private renters in England in 2017/2018, by length of residence in current household. The largest proportion of private tenants (24.8 percent) had resided in their property between five and nine years. 7.2 percent of private renters had lived in their property for more than 20 years. The source added the following information "excludes a small number of cases with unknown length of tenure."